Finding the right company to install your asphalt roof doesn’t have to be a hassle. Most homeowners in the Cockeysville area simply want a reliable company with plenty of experience that stands by their work with comprehensive warranties. You will find all those qualities and more in Roland Slate Service. We have been in business for well over two decades and have earned many awards for our excellent service and integrity, including the Torch Award from the Better Business Bureau to go along with our A+ rating. At Roland Slate Service, we are proud to offer asphalt roof products from leading manufacturer GAF. Our asphalt shingles can add eye-catching beauty to any home and are available in a wide variety of colors to match your preferred aesthetic style. Our shingles are also incredibly durable and wind resistant, allowing them to withstand beatings from Mother Nature without breaking down. They also are resistant to mold, mildew, and algae growth, ensuring that they will maintain their beauty for decades to come. All of our roofing technicians are highly trained and experienced and use manufacturer-approved methods to install our asphalt roof products. Our Master Elite status from GAF also allows us to offer extended warranties to our customers that many of our competitors simply can’t match. 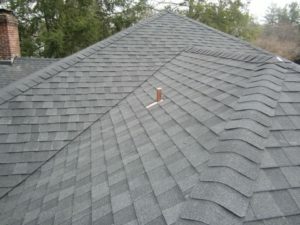 To learn more about our asphalt roof products and installation services, contact Roland Slate Service today and set up a free consultation at your Cockeysville home.